Item number 1723/1 from the MOA: University of British Columbia. 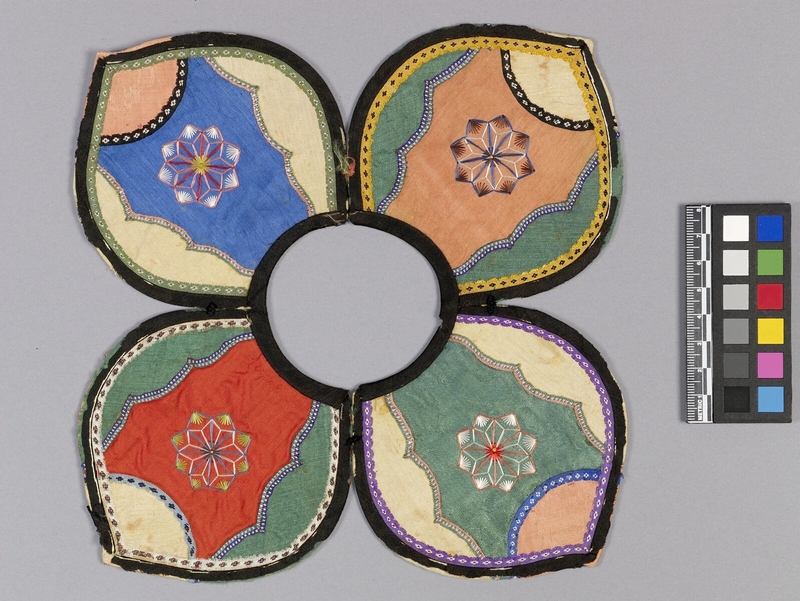 Embroidered collar with four petal-like sections. The petals are outlined in black around the edges and in the centre. Each petal section has an eight-point flower in the centre, scalloped side patches and a crescent patch at the tip. The petals patches are multicoloured. 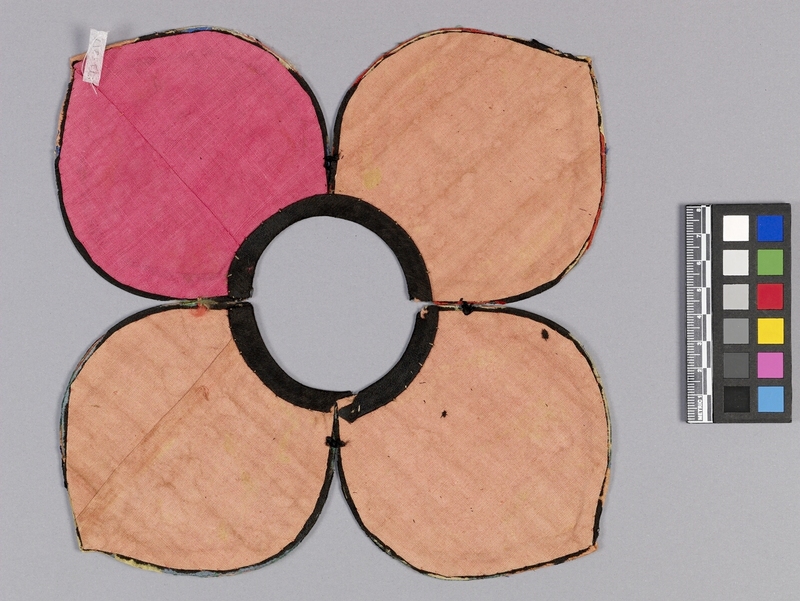 The backs of three petals are orange fabric; one is pink fabric.